Bale Mountains National Park is an area of high altitude plateau that is broken by numerous spectacular volcanic plugs and peaks, beautiful alpine lakes and rushing mountain streams that descend into deep rocky gorges on their way to the lowlands below. As you ascend into the mountains you will experience changes in the vegetation with altitude, from juniper forests to heather moorlands and alpine meadows, which at various times of year exhibit an abundance of colorful wildflowers. Bale Mountains National Park is the largest area of Afro-Alpine habitat in the whole of the continent. 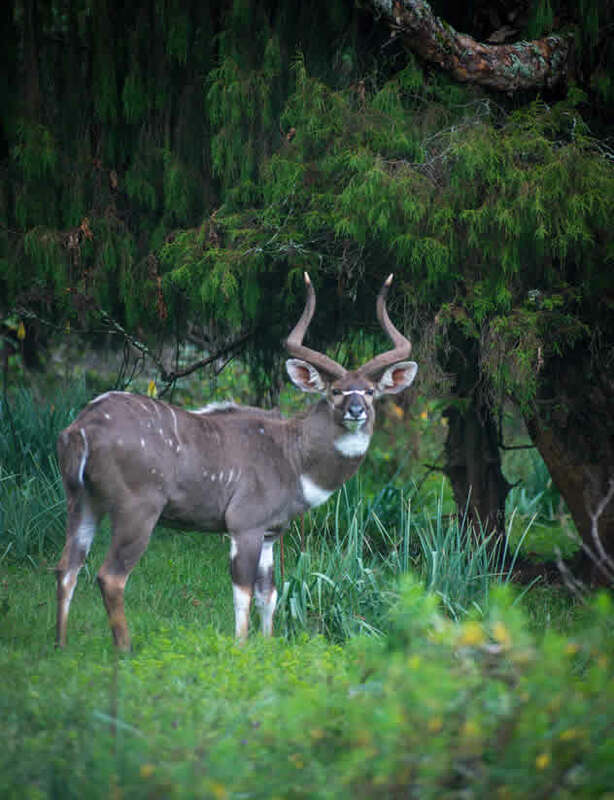 It gives the visitor opportunities for unsurpassed mountain walking, horse trekking, scenic driving and the chances to view many of Ethiopia’s endemic mammals, in particular the Mountain Nyala and Semien Fox, and birds, such as the Thick-billed Raven, Wattled Ibis, Blue-winged Goose, and Rouget’s Rail.